I'm excited to introduce Cindy Hassell who was one of our runners-up in the 2013 Winter Flash Fiction contest. She wrote a touching and humorous story titled, The Sparkle Stones. So before enjoying our wonderful chat, be sure to go over and read her story. Trust me when I say it will stay with you for awhile after reading it. Cindy Hassell is a writer, teacher, and logophile—a true lover of words. She became a reader in her mother’s lap, a storyteller at her grandmother’s table, and a writer in Mrs. Johnson’s sixth-grade classroom. Mrs. Johnson gave Cindy her first byline in the school newsletter. The exhilaration of that recognition, the sense of being cherished and accomplished and celebrated, has remained for decades. It is Cindy’s primary goal as a teacher to inspire those same feelings in all of her own students. A true believer in the power of story, Cindy hopes to add “published novelist” to her profile in the near future. Her work-in-progress is Lost in the Stars, a historical novel set in the Big Bend region of Texas during the Pancho Villa days. The book was inspired by the tantalizing story of her great-grandfather’s murder at his Davis Mountains ranch in 1913. Her grandmother passed along those priceless memories over many a bowl of fresh-popped popcorn—the pre-microwave kind! 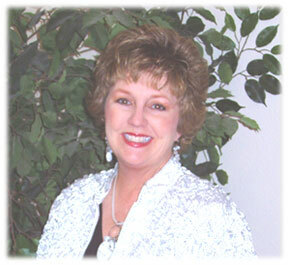 Cindy lives with her two favorite people: her husband and son, who are also true believers and connoisseurs of popcorn. WOW: Cindy, a huge congratulations for your story placing as a runner-up in our Winter Flash Fiction contest! We’d love to hear a little bit about you. Cindy: I am a mother/wife/writer/teacher from the Texas Panhandle who hopes to add, “published novelist” to my bio in the near future. Like so many other busy people with the same aspirations, I try to find enough spare time to keep my book progressing. That’s often an enormous challenge, but like the tortoise in the fable, I just keep moving forward, one word at a time, toward the finish line! I was thrilled to learn that “The Sparkle Stones” was chosen as a finalist in the Winter Flash Fiction contest. Snoopy Dance! WOW: Ha ha! Well, I see you doing that Snoopy Dance many times in the near future. Your submission, The Sparkle Stones, was a beautiful mixture of humor and heart strings being tugged. Where did this story come from? Cindy: The story was inspired by one of my grandmother’s many tales about her life on a big cattle ranch out in far west Texas in the early 1900s. When she was a little girl, she was closer to the family’s housekeeper than to her own mother, a widow who was always busy helping the men run the ranch. Maria was a real person who had a deep influence on my grandmother’s values and sensibilities. I wish I could have known Maria, but I didn’t. So I invented a persona for her based upon my grandmother’s fond reminiscences. WOW: What a wonderful background! We should all be so lucky to have a Maria in our lives. As you know, writing flash fiction can be more difficult than writing novels for some writers, perhaps due to having to create an entire story with a more restricted word maximum. What are your thoughts on this? Cindy: Believe it or not, I’m the kind of person who thrives on deadlines and restrictions! I enjoy the challenge of assembling just the right set of words to convey a particular tone, but without deadline pressure, I tend to second-guess myself and spend far too much time striving for perfection. I like the shorter form because I can focus intensely for a brief time, but let it go when I must. It’s a nice break from the long haul of writing an entire novel. WOW: That’s very interesting. I can relate to thriving on deadlines, too. Can you please tell us about what your writing routine is when you settle down to get those stories out. What are the key ‘ingredients’ you need to bring out those words? Cindy: As I mentioned above, I am much more productive under deadline pressure. I have discovered the value of creating an outline for my novel, which keeps me much more disciplined. From the outline, I write one scene at a time. I set a goal every day, based upon the amount of time I can allot for writing. I like to write early in the morning, when both the day and I are fresh. I try to avoid cluttering my mind with anything else when I first get up, so that my best energy goes into the writing. I love listening to music, but I am more productive in a quiet room, so I save the tunes for another part of my day. Other than that, a good cup of coffee, my laptop, and a comfortable chair are all that I need. I occasionally resort to chocolate when I need a little inspiration to keep working! WOW: Ha ha! Well, I’m sure there are many of us who have a little stash of chocolate to keep us going during a long writing session. Cindy, we’d love to hear some of your final pearls of wisdom on writing flash fiction. What are the key things writers should keep in mind? Cindy: Keep it simple, because flash fiction must tell a full story, conflict and all, in a single scene. I take the time to distill my vision for a scene into a sentence. That way, when I write, it’s easy to tell when I stray too far from the point I want to make. I think of flash fiction as a snapshot rather than a “movie of the mind.” I can envision “The Sparkle Stones” as a Norman Rockwell painting—but with a whiff of apples and cinnamon added! A smattering of sensory detail makes the story much more vivid. The best writers, I think, are the ones who can evoke a realistic experience without overwhelming the reader with strings of adjectives and long lines of description. A writer can also capitalize on a just a line or two of well-chosen dialogue to unveil a character’s true nature. I guess I’m a “less is more” kind of writer, which is funny because I can be a real chatterbox in conversation! WOW: Thank you for your advice and, again, congratulations on placing in our Winter Flash Fiction contest. Good luck with your future projects! Congratualtions on your top ten story! I agree that deadlines really help get us writing. That's one reason why these contests are so great.